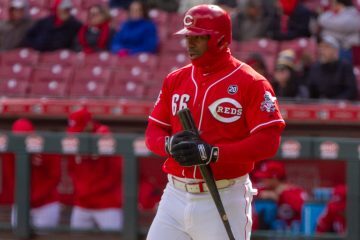 The Reds are currently in the midst of their worst run of seasons since the late 1940Ã¢â‚¬â„¢s, as of late they have been wallowing in the pool of bad pitching, historically bad pitching. No team is infallible and occasionally franchises do dip their toe into the pool, some seem to even soak their feet longer than others, getting wrinkled skin in the process. In the 21st century the Reds have chosen to dive headfirst into the pool and take a nice long swim. How bad has it been? The past three seasons in Cincinnati has resulted in a team ERA above 5.00, each poor enough to rank in the top 25 of the worst ERAÃ¢â‚¬â„¢s in modern National League history. ThatÃ¢â‚¬â„¢s how bad it has been. The Reds have had as much success finding pitching as Ethan Frome had sledding. Ownership transfer can and should be an exciting moment for teams that float aimlessly across the lunchrooms of the game. Any change is good when you spend most of your seasons enviously sneaking peaks at the popular kids table, watching them all having a good time day after day as the Reds have regularly been doing since the 70Ã¢â‚¬â„¢s. Most fans forced to live with this sense of mediocrity harbor secret sugar daddy wishes from new ownership, others just want a different approach to be considered, which in the baseball world should also imply a fresh blueprint when it comes to how the team is developed, deployed and marketed, especially if your team lives in the long shadow of a dynasty like the Big Red Machine. In a provincial town like Cincinnati change is not always warmly embraced, itÃ¢â‚¬â„¢s not unusual for many of the writers to end up more focused on the local ownership angle than on the changes it might bring. Having witnessed the movement of many franchises in the 50Ã¢â‚¬â„¢s and 60Ã¢â‚¬â„¢s and having fought off suitors, the Cincinnatians possessed a fear of outside groups running the cityÃ¢â‚¬â„¢s longest held sports franchise. Of course every coin has two sides and the side effect caused by this handwringing is that the more pertinent details involved in the business of baseball, such as the state of the new owners baseball acumen, often get overlooked in the parade to congratulate the local hero for saving the ball team from some carpetbagger city. Three former Reds ownerÃ¢â‚¬â„¢s names mentioned, a brief flash that touches the memory of the best times in the long history of baseball in Cincinnati, great column filler for the local writers, rehashing the Crosley era and the Big Red Machine never gets old in Cincinnati. The Williams BrothersÃ¢â‚¬â„¢ father and uncle both owned a piece of the Reds in the Big Red Machine era and Bill DeWitt Jr. the current Cardinals owner is a Cincinnati resident and got his start in baseball when his father owned the Reds in the early 60Ã¢â‚¬â„¢s. Since the DeWitt group purchased the Cardinals in 1996, they have had the second best winning percentage in the National League. The Reds on the other hand in that time frame ranked 11th. We shouldnÃ¢â‚¬â„¢t be surprised, itÃ¢â‚¬â„¢s not as though it hasnÃ¢â‚¬â„¢t happened numerous times before. The Reds have a rarely mentioned family secret. ItÃ¢â‚¬â„¢s nothing to be ashamed of, but itÃ¢â‚¬â„¢s also not the cloth from which local baseball legends are cut from. Simply put, without the St.Louis Cardinals influence, the Reds might never have gotten their act together during the Depression. They might never have rebuilt their struggling franchise, had the first night game, Won NL championships in 1939 and 1940, nor sculpt Crosley into the legendary park most remember it to have been. Without the Cardinals, the Big Red Machine doesnÃ¢â‚¬â„¢t happen the way it did. Without the Cardinals the Reds could have vacated Cincinnati during the Depression. From 1934 to 1978 each one of the Reds GMÃ¢â‚¬â„¢s worked for or with Branch Rickey, all of them save Bob Howsam came to the Reds when Rickey was with the Cardinals. Each man brought a part of the Rickey method to Cincinnati, and the end result was the Big Red Machine Era. This connection is perhaps one of the main reasons why the Reds are still in Cincinnati and not just a memory sewed on a retro jersey at Foot Locker. No one since has had the vision of Rickey. He was an innovator, teacher, organizer, talent evaluator and dynasty builder. He changed the landscape of baseball from his emergence in 1914, blending the dieing science of inside baseball, the art of scratching for runs during the deadball era with the calculating precision of todayÃ¢â‚¬â„¢s Moneyball approach to valuing the marketplace. When power came into vogue he seamlessly moved that aspect of the game into his arsenal. Ever the teacher, Rickey enabled those who learned from him to take those skills and apply them to the teams they ran. Following Sidney WeilÃ¢â‚¬â„¢s final gasp to hold on to the team he handed the Reds over to the The Central Trust Company, later that year the National League ownersÃ¢â‚¬â„¢ meeting convened, with the issue of who should run the team on its docket. Branch Rickey suggested and endorsed Larry MacPhail. Oddly enough MacPhail had entered the baseball world when he purchased the Columbus AA team from a financially strapped Reds in 1931. MacPhail immediately turned the lethargic Columbus organization around, taking the baseball industry by storm with his success, highlighted by his introduction of night baseball to the American Association. The next year he sold the club at a profit to the Cardinals and continued on as the GM, thus beginning his long time tumultuous association with Branch Rickey. It was MacPhailÃ¢â‚¬â„¢s marketing plans that enabled Columbus to outdraw many of the Major League teams in 1933, including their parent team the Cardinals, who were drawing so poorly in the their two-team city that possible moves to Montreal and Detroit were explored early in the decade. Despite the continued success of Columbus under MacPhail, the two men could not coexist and soon MacPhail found himself a former Cardinal employee. Despite their differences, Rickey knew that MacPhail had the ability to turn around the Cincinnati franchise. An endorsement from the successful Cardinals GM was enough for the Central Trust CompanyÃ¢â‚¬â„¢s immediate needs. In December of 1933, MacPhail took the wheel of the moribund Cincinnati Reds, winners of one title in 43 years they had been in the National League. Without hesitation he began gunning the gas in an attempt to drive the buggy of a franchise out of the ditch it was stuck in. His first order of business was finding a local owner, one with vision and preferably deep pockets. Local businessman Powell Crosley was exactly the type of owner the Reds needed to drive them into what MacPhail hoped to be profitable future. It was CrosleyÃ¢â‚¬â„¢s cash and willingness to spend that helped fuel the first part of the franchiseÃ¢â‚¬â„¢s rebirth, but it was MacPhailÃ¢â‚¬â„¢s energy and sense of showmanship that redirected the franchise financially and regenerated a sense of pride about the team in the eyes of the general public. MacPhail began by painting and cleaning up the crumbling Redland Field, and at CrosleyÃ¢â‚¬â„¢s insistence the team renamed the field in honor of the new patron. It was obvious that the franchise needed a fresh revenue stream to compete against the bigger cities and the other teams that had a jump on the nuances of farm systems. It was then that MacPhail decided to try bringing night baseball to the Major Leagues, changing the face of the game in a time that demanded change to survive. Despite initial dissention from both leagues owners he eventually rode the issue until he was allowed to schedule seven night games in 1935. These games averaged 18,620 paying customers, and the remaining sixty-nine day games averaged only 4,607. It was obvious that the face of the game would never look the same. MacPhail had other tricks up his sleeve. 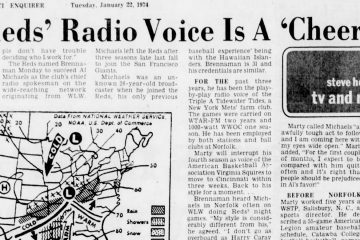 He contracted baseballÃ¢â‚¬â„¢s first team-hired announcer when he brought Red Barber to town in 1935, and he was also the first GM to utilize air travel. All these off the field changes helped bring positive press and a semblance of success off the field to the Reds. Ever the panderer to the fans interest in the team, one of MacPhailÃ¢â‚¬â„¢s office innovations involved a direct line to WLW, the 500,000-watt radio station owned by Crosley. Often if a baseball visitor came in the office, Larry would activate the feed to let the listeners in on his conversations. Imagine the amusement hearing the discussions involving Babe HermanÃ¢â‚¬â„¢s performance clauses! As with many frantic personalities MacPhail had his personal shortcomings. Being volatile was a large part of LarryÃ¢â‚¬â„¢s life and work experience, a voracious drinker MacPhail was known to be a difficult character and by the end of the 1936 season, he had worn out many of his relationships in the Cincinnati area and abruptly resigned for numerous unmentioned reasons. Twenty years later it was revealed in a Sports Illustrated article that several reasons played into his departure, including his fathers illness and Powell Crosley refusing to sell him shares of the now increasingly popular team, despite a previously promised deal. I can’t wait for Part II. Well done, Brian. It’s funny though, many in St. Louis feel that the current owners plan on doing nothing more but sell the team, after this past seasons extensive money grubbing (highlighted by selling urinals from the old stadium). They paid very little for the team (roughly $150 million for the team and garages, then sold the garages right away for $100 million) and while their winning percentage has been good, their number of championships is zero. Brian, you ‘da man…what a great article. I’m headed for Part II. Cards fans must be too tough to satisfy. I’d trade places in a minute. Plus, nobody forced people to buy used urinals. I’d file that under “giving the fans what they want” – the income couldn’t have had a significant impact on the bottom line. Outstanding work Brian, as usual.